We are thrilled to announce the newly redesigned website for youngmoneyblog.co.uk that is now live. We had the pleasure to meet the founder of YMB, Iona Bain during our time at the IPSE awards and National Freelancers’ Day and loved both her mission and passion for the work that she does for young people, financially. Upon getting together to discuss revamping her current blog into a more scalable, agency-focused website, we both had a great vision of how to showcase this and we are loving the transformation! We wanted to keep the blog the main focus of the website – after all, it’s what YMB is all about however, we also wanted to also bring the Agency side of the business out a little bit more and showcase Iona’s talents and previous engagements. By introducing clear call to actions and a solid website structure, allows any potential opportunities to be enquired about directly via the website. We also provided a refreshed layout structure to the blog and modernised the way in which posts were showcased by displaying only a selection of the most recent blogs on the homepage and directing those who wanted to read more through to the archive. Lastly, we wanted to provide Iona with the platform to grow the blog and be able to provide a ‘resource hub’ of information for those who want to learn more about a specific topic. 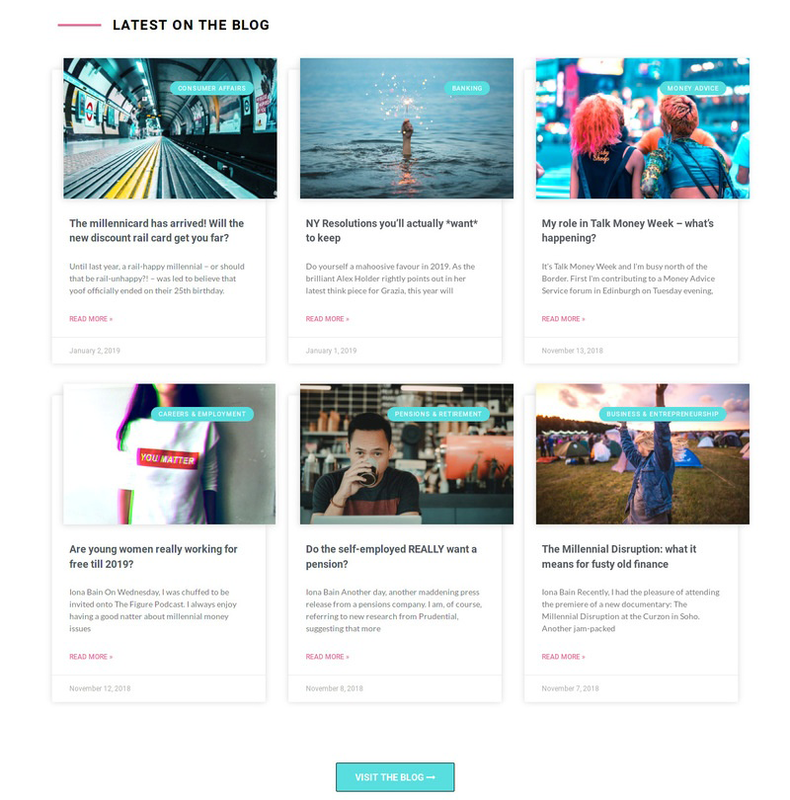 Although this is still under construction whilst content is being created, the ‘Your Money’ hub is the perfect platform for additional downloadable materials, articles and content to help young people with their financial woes.